Total 134 Testimonials, Showing 111 - 120 (14 Pages). "I have been looking for a jeep for a while. Finally found one for a decent price here; had no issues with anything. I would have to say my overall experience here has been great." 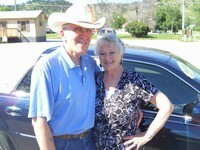 "We were traveling through Sturgis coming to South Dakota to visit family. We had been looking for a red Jeep for some time. Here in Sturgis at Sturgis Motor Company we saw a possible purchase. This was late Wednesday, July 20, 2011. The next morning we went back to Sturgis Motor Company where we were nicely greeted by Faraz. Faraz was very personable and easy to work with. 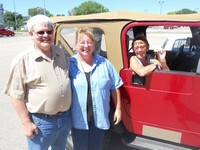 After a short pleasant negotiation we happily drove off in our Jeep." "Thank you for the experience and the great Jeep!" 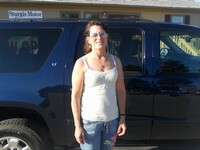 "I stopped in at Sturgis Motor Company to check out their vehicles and was interested in a 2001 Explorer. Faraz came to talk to me and I found that he knew what he was talking about. We seemed to click together. It's never been such a great experience to work with someone so courteous, honest, and knowledgeable. I will recommend everyone I know to check them out for their next purchase." "Just a great place to buy a car!" 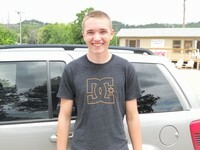 "This was the nicest experience we've ever had buying a car. Faraz was so friendly and helpful. There was no pressure to buy, just honest, forthright information. We felt like we were truly dealing with a friend!" P.S. "We love our car!" 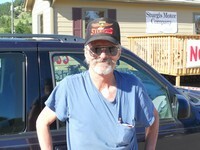 "Sturgis Motor Company really worked with me to negotiate a good deal. Faraz made himself available and was very easy to get along with." "I owe you a sincere thank you!" 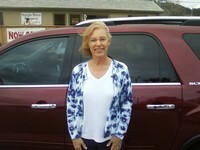 "The experience was more friendly, caring and thoughtful than any other dealership I've been to. The deal was the right color, style, year, and PRICE! Thank you for Faraz." 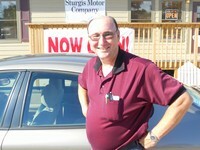 "Was great dealing with Sturgis Motor Company; no pressure, great facts, and honest people!" "Very good customer service! Faraz was great; had an amazing set of skills of knowing about the vehicles. Definitely giving referrals to this company." 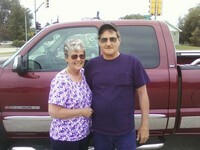 "We had a wonderful experience at Sturgis Motor Company. Faraz was GREAT! 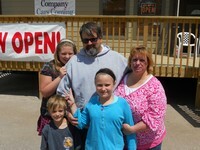 He made our sale so easy and painless! He kept us informed and worked so hard for us! And most of all, we are so thankful for his kindness to us! You will not find a friendlier or kinder person in this business in the Country!! 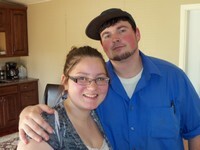 He's the best! Give him a try!"